Leaving early this morning, I easily managed the coveted “!00 miles before breakfast”, sitting down to my coffee and yogurt at about the time I’ve been getting onto the road this trip. 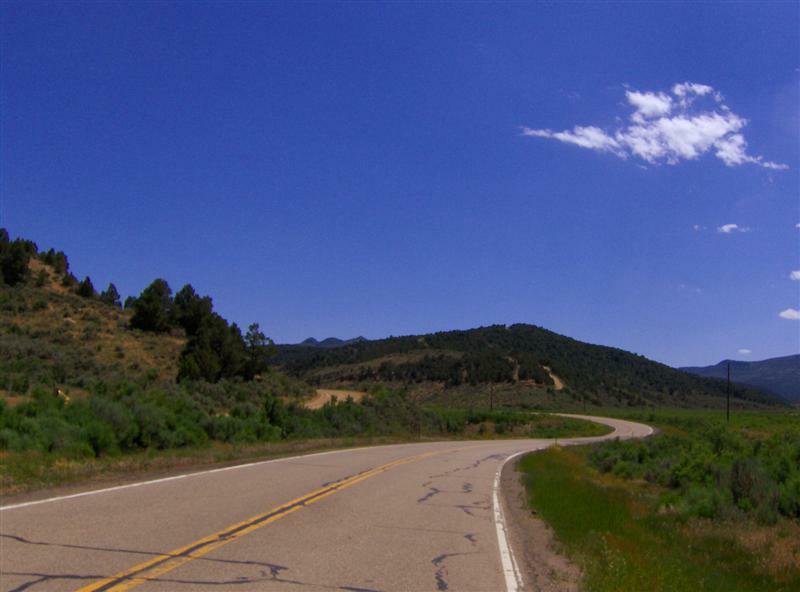 US191 south of Pinedale was essentially straight and flat until just after Rock Springs. It then got interesting, with sweeping curves along ridge tops and views hinting at the geology lessons ahead. I stopped at the state line for some pictures. 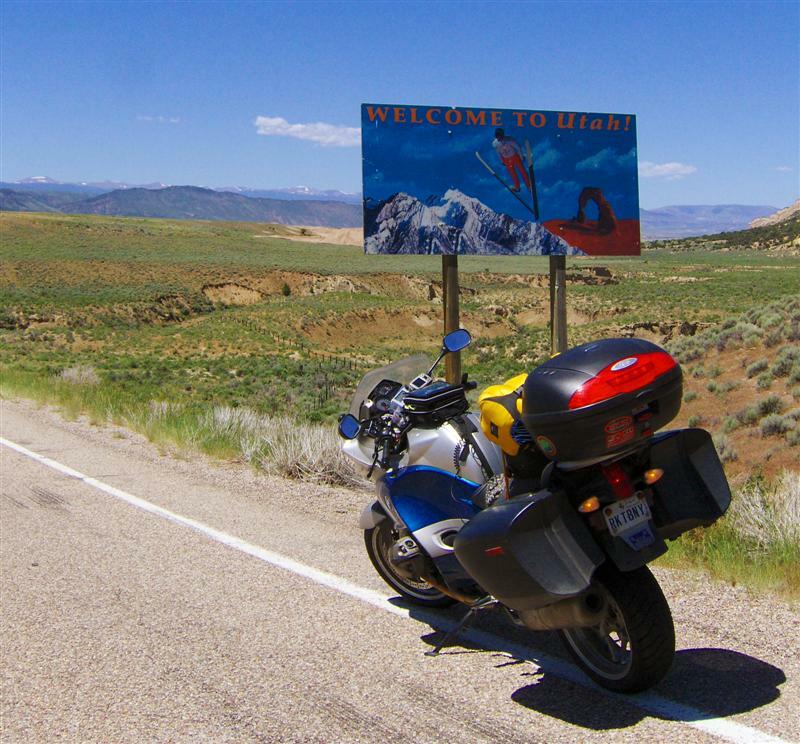 After snapping the Utah sign, I turned the bike around to get Wyoming. 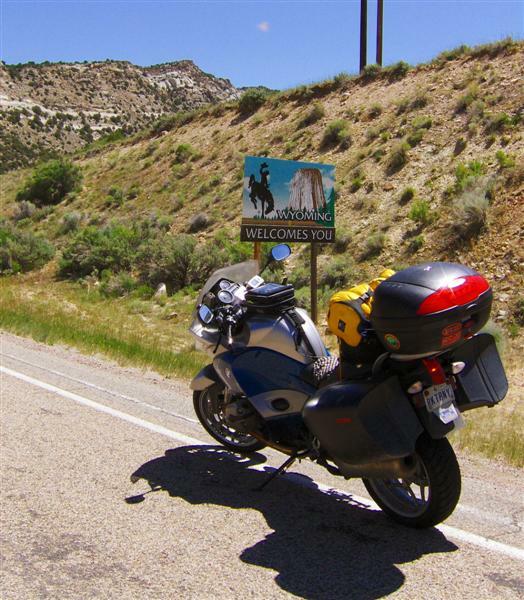 I entered Wyoming twice on this trip, failing to get the sign each time. From South Dakota, I was distracted and missed the sign. The sign in Yellowstone was a little brown NPS sign that wasn’t worth the trouble. I didn’t want to “cheat” on acquiring the sign, but it might be a while before I’m back, and I’ve certainly earned it. 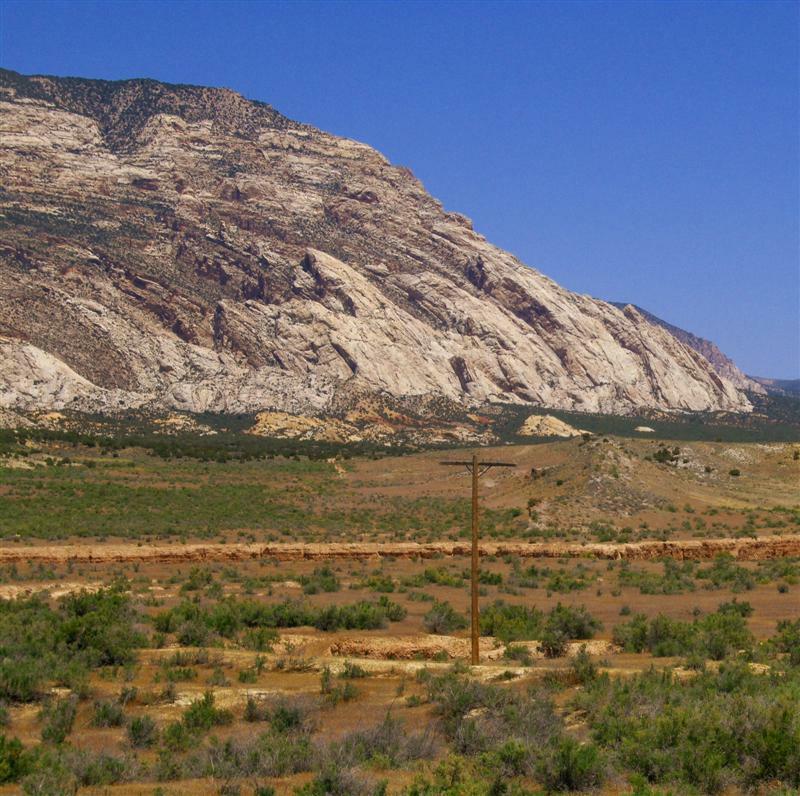 Utah is very proud of it’s geological heritage. 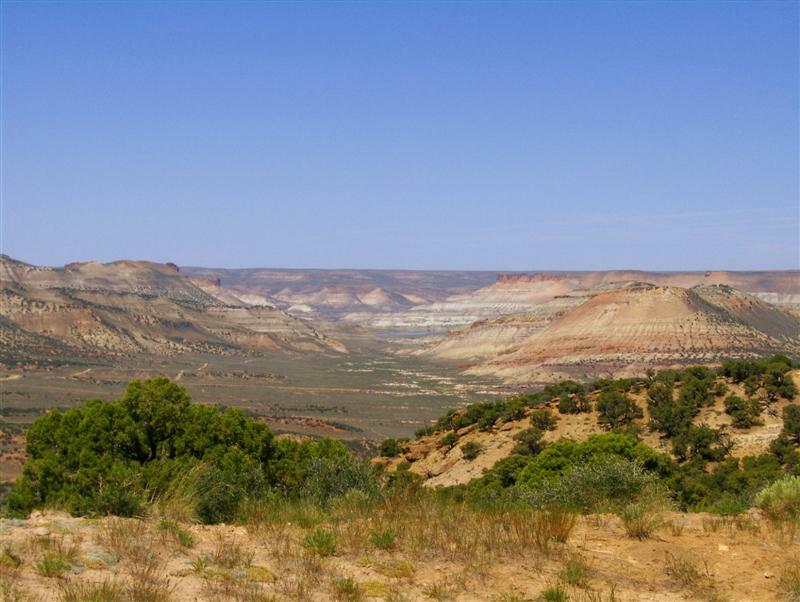 Besides the many state and national parks covering rock formations, there are formation identification signs pointing at the rock strata along many major roads. US191 was no exception. 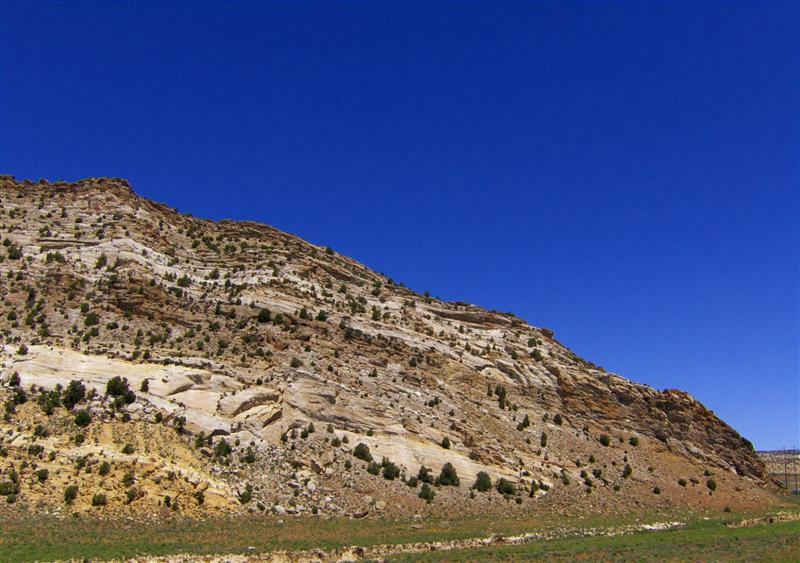 For example, I learned that “such and such” formation was composed of an ancient seabed during the whatchamacallit era. 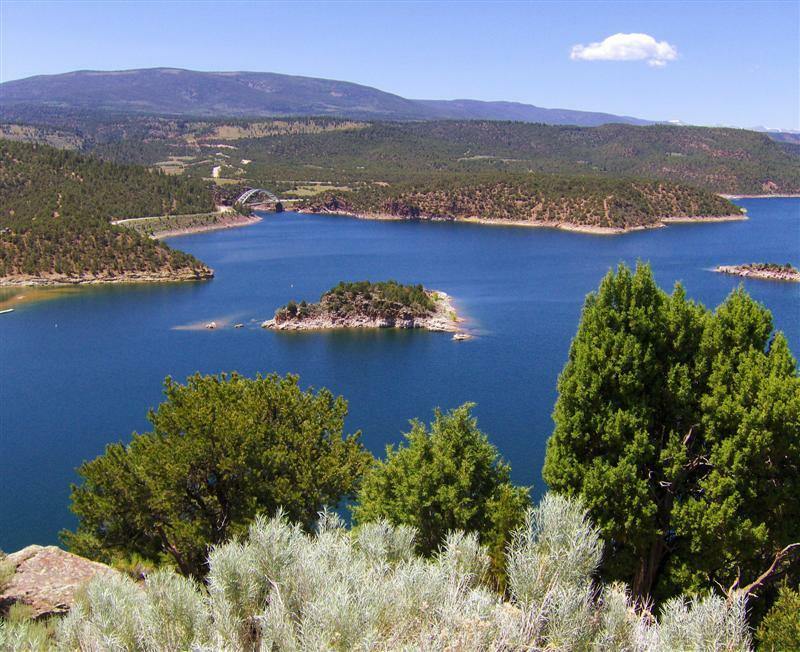 I stopped at a couple of vista points to take in the view of Flaming Gorge Reservoir and dam. I vividly remembered stopping at the same vista points in 2004 and almost leaving without taking pictures. That was not even a question this time. 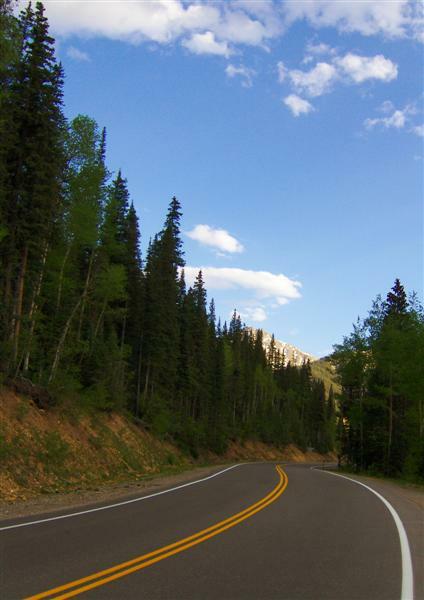 Utah is also very proud of the switchbacks on US191. For miles prior, I was continually getting warned about the 10 (count ‘em!) steep switchbacks ahead. 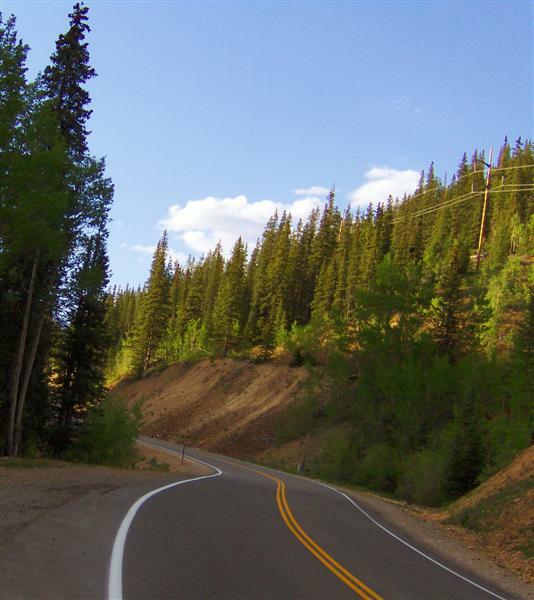 I might have gotten excited if I hadn’t ridden the road back in 2004 and found out that the *switchbacks* are huge sweeping curves on a mostly 4 lane road. 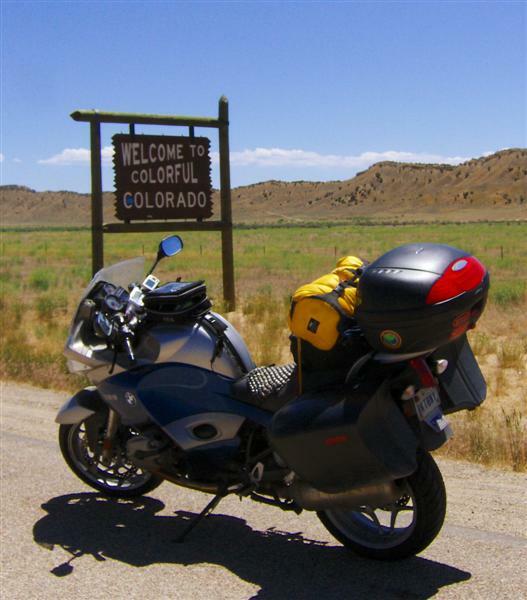 Reaching US40, I got gas in Vernal, UT before entering Colorado at Dinosaur. 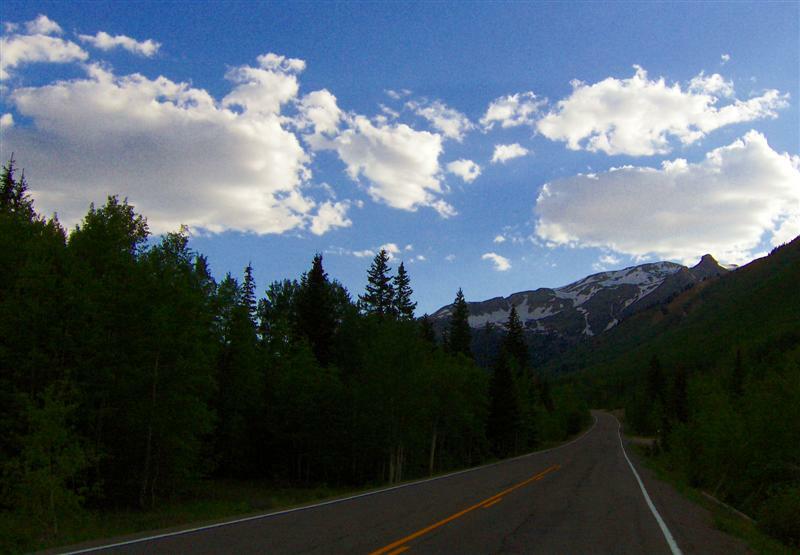 Riding down CO-139, it was as if I’d never left Utah… until I got up into the higher elevations of the pass. Unfortunately, at that point, I was stuck in a line of cars and motor homes on a steep mountain road with no paved turnouts that I noticed. I think I took one picture on the entire road. 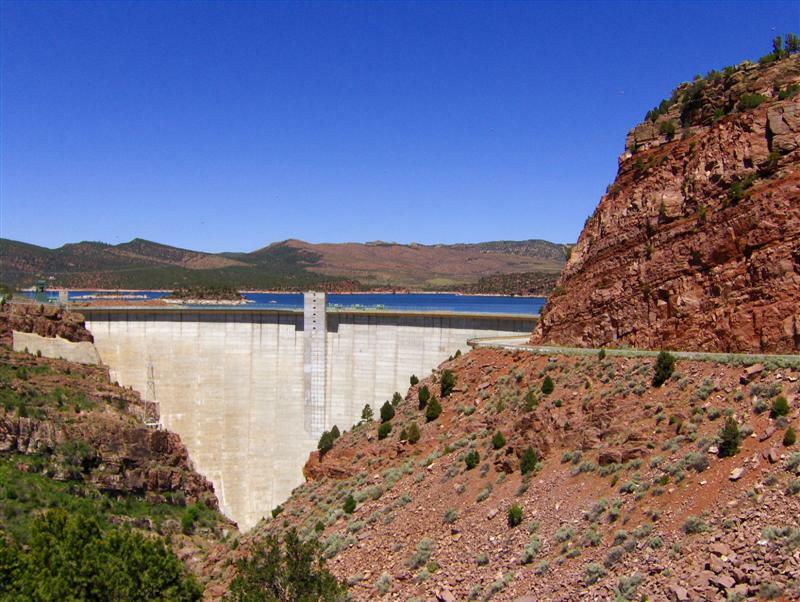 I decided to have an early dinner in Grand Junction, CO before crossing the Grand Mesa to Montrose. The mesa was HOT! 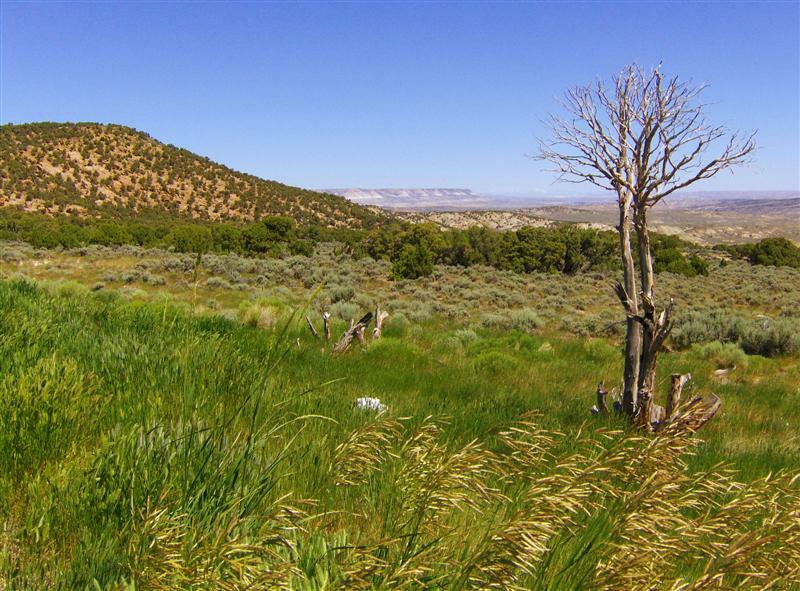 I was dying in my full gear, with my only thought being the headlong dash toward US550, higher elevations, and cool air. 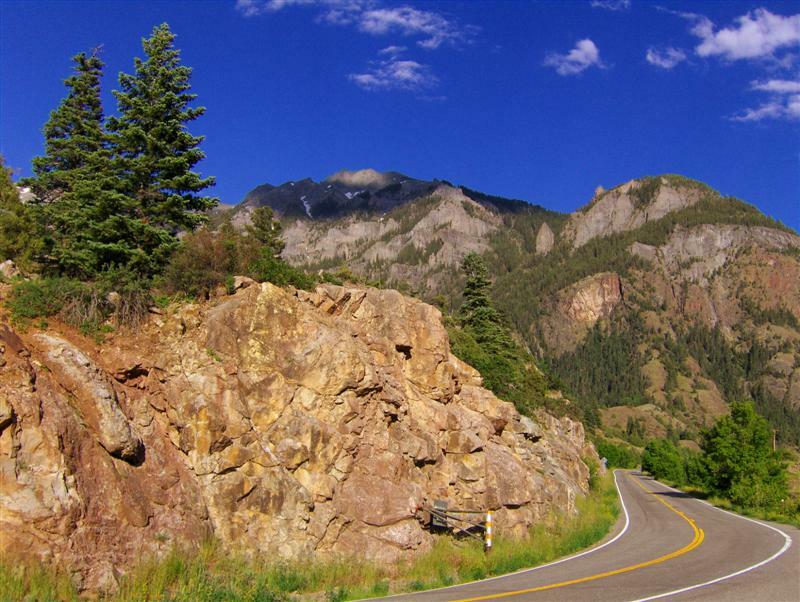 Cooler air was achieved as I ascended the switchbacks above Ouray, CO. 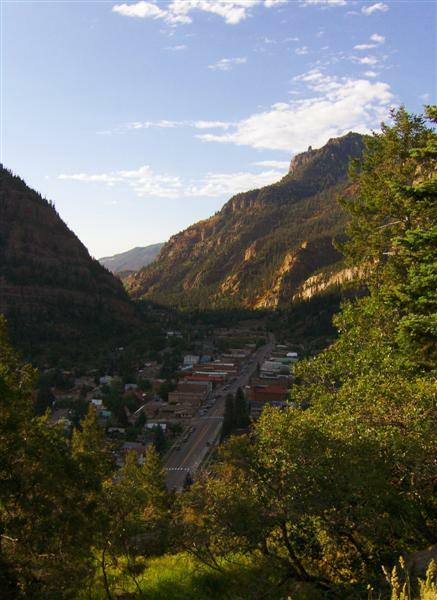 I stopped to look down on the historic mining town from a turnout on the road above. 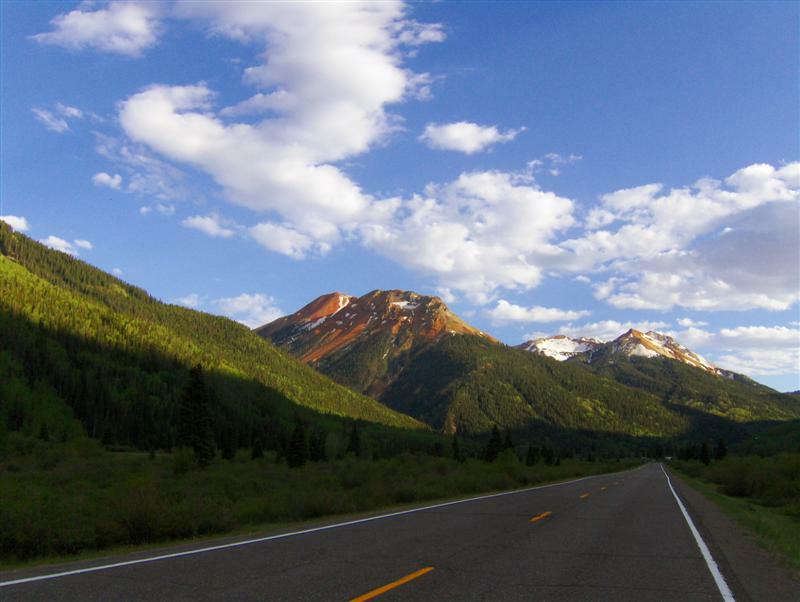 US-550 roughly follows several historic routes important for finally making it feasible to mine claims in the high Colorado mountains. 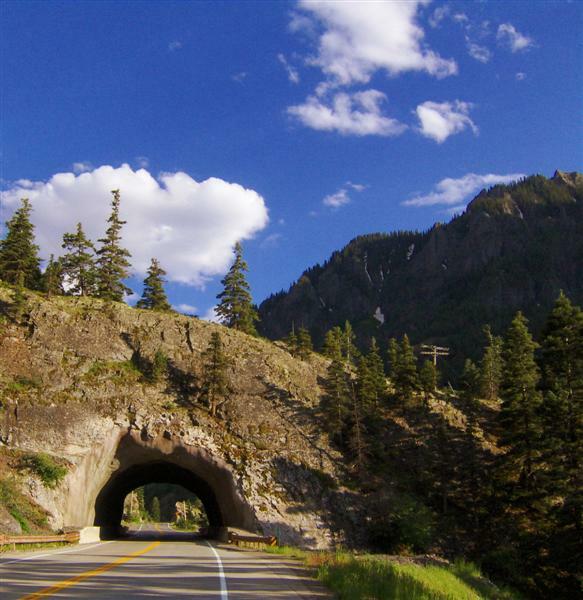 It’s called the “Million Dollar Highway” for the purported cost of building the road. 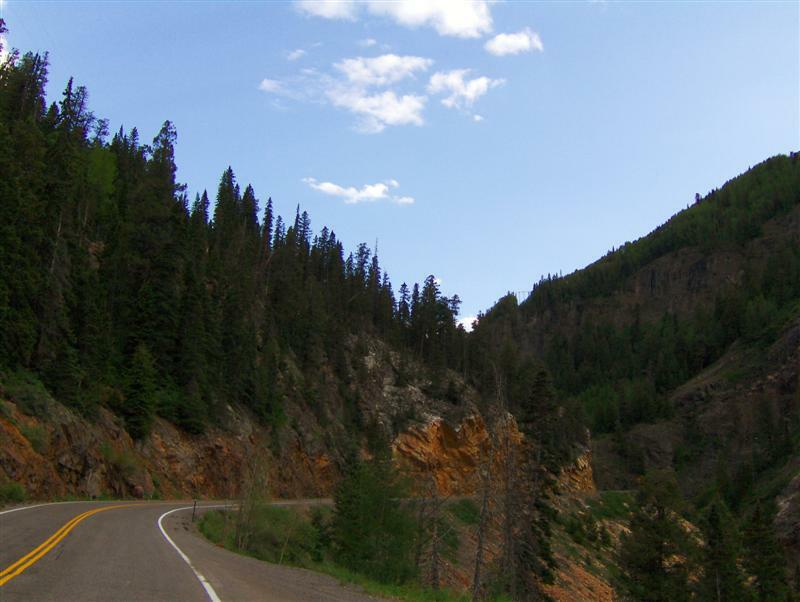 The climb out of Ouray was steep, with a rock face rising high above me to the left and sheer cliffs dropping to the river to my right. 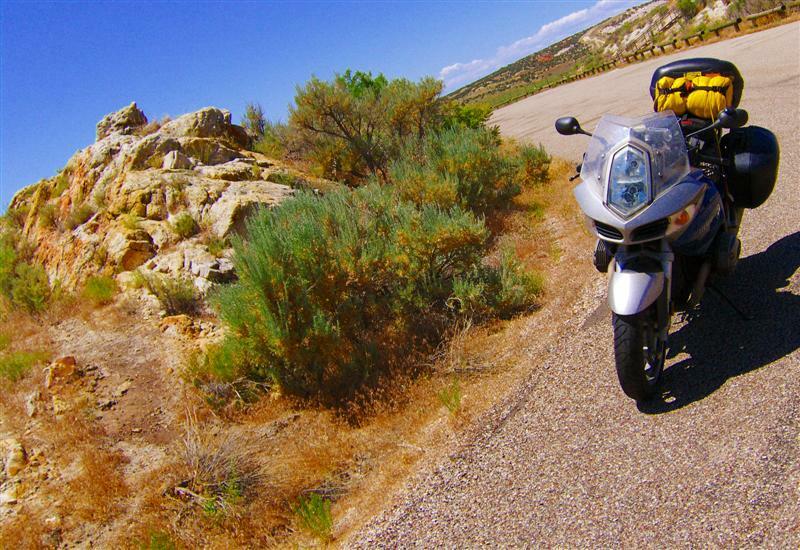 I carefully focused on the road and tried not to look down as winds rocked the R1200ST. I think I prevented myself from freaking out by speculating how much my friend Rebecca would be freaking out. 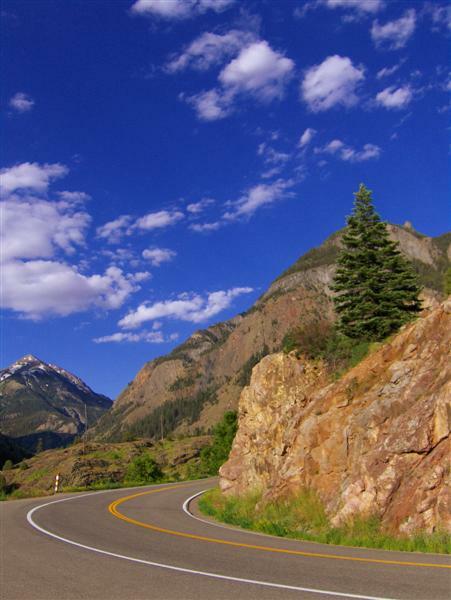 The road was memorable, with great curves and ever-changing views of colorful mountains and high elevation flora. Going over three passes, one over 11,000 feet, I think I spent at least an hour above 10,000 feet. It was getting dark and I was very tired when I reached Durango, CO around 8:45pm. I decided it was safer to just get a room than try to continue to Cortez. It had been my longest day on the road this trip and US550 had been an incredible workout. I stumbled onto your trip while searching for some ST stuff. This trip sounds like a blast! It’s making me consider planning a trip here in the next month! Great Report Becca! You Rock! That is some of the best riding in the country. We make it up there as much as possible. Good stuff! 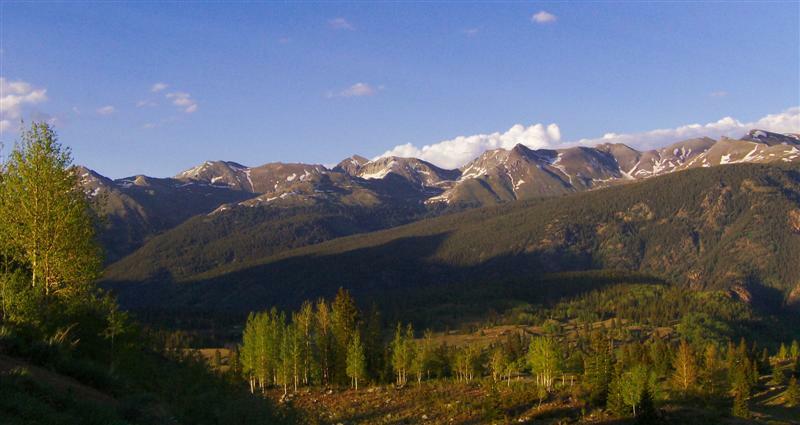 Isn’t Colorado awesome!!! I really enjoy exploring the mountains around here. Safe Travels.